LOCAL TECHNOLOGY COULD MAKE NO-TILL PLANTING EASIER FOR FARMERS | Chatham-Kent Agriculture Development | We Grow For the World! A Stoney Creek company focused on robotic cutting solutions is experimenting with an ultra-high pressure no-till system. A-Cubed (Advanced Agriculture Applications) is using fluid jets in place of coulters on standard, commercially available seeding equipment they’ve modified. The goal, according to Agricultural Business Development Manager Jeff Martel, is for farmers using no-till (planting without tilling the soil) to cut cleanly through heavy residues and cover crops using water – either on its own or potentially supplemented with inputs like lime or fertilizer, for example. Leading development of the technology has been the South Australia No-Till Farmers Association (SANTFA) – and a connection between SANTFA and Martel brought the idea to Canada, where Martel’s employer I-Cubed Industry Innovators is now launching A-Cubed to move the technology forward. Initial plot trials by the company last year produced intriguing results. Fluid jet-planted corn had a 20 per cent higher yield by weight than the same corn planted conventionally in the next rows. And each fluid jet-planted soybean plant held more pods than the conventionally planted soybeans and had significantly bigger and longer root systems. Germination time was a day sooner on average for the fluid jet-planted plants too. This year, employees Matt Popper and Will Whitwell, who are also both farmers, modified a six-row John Deere planter with the technology and used that planter to successfully plant corn into hay and soybeans into corn stubble. According to Martel, the planter and pump are available to Ontario farmers or researchers interested in working with A-Cubed to investigate some of these questions, and he’s been reaching out to North American agronomists to showcase some of their early results and seek advice. Research on the technology is underway in Australia and in China, too. The company’s immediate goal is to develop a small liquid jet no-till system designed for research purposes that could “open the door in a thousand directions for research.” He also envisions a retrofit kit for farmers to use on existing equipment, as well as a commercially available planter equipped with water jets. The technology could be most beneficial in moderate to high rainfall areas where the ground underneath the cover is softer and it’s harder to cut through residue. “This doesn’t care whether it’s wet or dry. 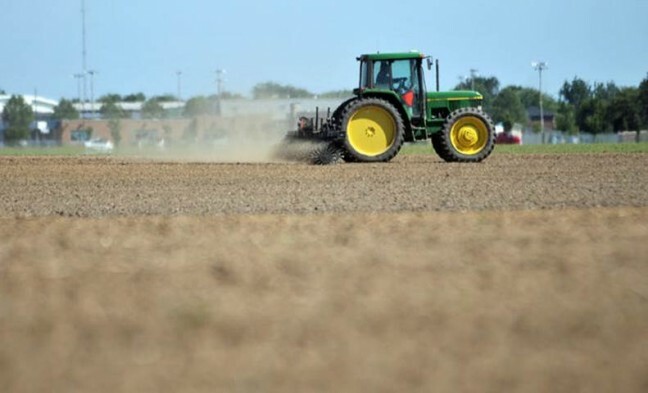 You don’t have to wait for dew to dry off, you can plant around the clock,” Popper said, adding that because the technology is cutting so cleanly into the ground, another benefit could be a reduction in tractor horsepower needed.